1. 71% of B2B researchers start their research with a generic search. (Google) Tweet this! 2. B2B researchers do 12 searches on average prior to engaging on a specific brand's site. (Google) Tweet this! 3. 49% of B2B researchers who use their mobile devices for product research do so while at work. (Google) Tweet this! 4. B2B companies that blogged 11+ times per month had almost 3X more traffic than those blogging 0-1 times per month. (HubSpot) Tweet this! 5. 96% of B2B buyers want content with more input from industry thought leaders. (Demand Gen Report) Tweet this! 6. 67% of B2B marketers say they see at least a 10% increase in sales opportunities through lead nurturing, with 15% seeing opportunities increase by 30% or more. (Demand Gen Report) Tweet this! 7. 84% of millennial B2B buyers believe their mobile device is essential to work. (eMarketer) Tweet this! 8. Although 64% of the c-suite have the final authority on purchases, 81% of non-senior staff have a say in purchasing decisions. (Google) Tweet this! 9. Between 2012 and 2014, the number of 18 to 34-year-old B2B researchers increased by 70% (and it's only trended upwards since then). (Google) Tweet this! 10. 55% of B2B buyers say they search for product/vendor information on social media. (InsideView) Tweet this! 11. 82% of B2B decision makers think sales reps are unprepared. (Sirius Decisions) Tweet this! 12. Healthcare leads are most expensive ($60) followed by business/finance ($43). At the low end are leads for marketing products/services ($32) and technology ($31). (B2B Marketing Insider) Tweet this! 13. When purchasing online, B2B buyers rate pricing as the most useful information, followed by technical information and specifications. Product demonstrations are least valued. (eMarketer) Tweet this! 14. B2B customers now expect the same range of omnichannel buying options they enjoy as consumers – which is why 49% of B2B buyers prefer to use consumer websites to make work-related purchases. (The Future of Commerce) Tweet this! 15. 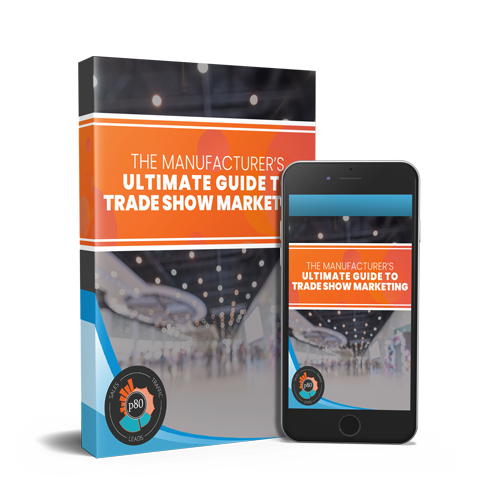 80% of buyers noted the importance of credible product details and information, as well as an easy-to-use website. 75% would buy again from the same supplier because of omnichannel features. (The Future of Commerce) Tweet this! 16. 14% of businesses fail due to poor marketing. (Marx Communications) Tweet this! 17. 80% of B2B leads come from LinkedIn. (LinkedIn) Tweet this! 18. Search is the B2B buyer's #1 resource for research; 90% of B2B researchers who are online use search specifically to research business purchases. (Google) Tweet this! 19. 70% of B2B buyers and researchers are watching videos throughout their entire purchase process. (Google) Tweet this! 20. Execs want a mix of content and information when researching via smartphone. (IDG Global Solutions) Tweet this! 21. B2B companies that blogged 11+ times per month got about 3.75X as many leads as those blogging 0 - 3 times per month. 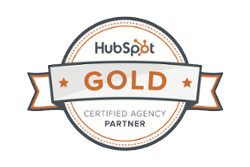 (HubSpot) Tweet this! 22. Meeting B2B buyers at different points in their buying journey makes a difference - McKinsey reports an up to 20% increase in customer leads, 10% growth in first-time customers, and a speedup of as much as 20% in the time that elapses between qualifying a lead and closing a deal. Tweet this! 23. On average, a B2B customer will regularly use 6 different interaction channels throughout the decision journey, and almost 65% will come away from it frustrated by inconsistent experiences. (McKinsey) Tweet this! 24. 59% of buyers prefer to do research online instead of interacting with a sales rep because the rep pushes a sales agenda rather than helps solve a problem. (Forrester) Tweet this! 25. Mapping marketing activities to the buyer’s journey has proven to increase upsell and cross-sell opportunities by 80%. (Aberdeen) Tweet this! 26. 31% of B2B buyers want to research and buy online unassisted, with the option to receive phone support if any issues arise. 10.5% want to complete the process entirely on their own with no sales assistance, while 12.5% still want someone to walk them through the process directly. (Brafton) Tweet this! 27. 71% of B2B buyers who see personal value will purchase a product. (CEB) Tweet this! 28. 68% of B2B buyers who see a personal value will pay a higher price for a service. (CEB) Tweet this! 29. 85% of business buyers believe companies shouldn’t just present information via social media – they should also interact and engage with them. (Paul Dunay) Tweet this! 30. Personal value has twice as much impact as business value on B2B purchasing decisions. (CMO) Tweet this! 31. Prescriptive content that lays out a formula for success was the most popular type of content among B2B buyers in 2017, with 97% citing it. (DemandGen Report) Tweet this! 32. Buyers are most willing to register for and share information about themselves in exchange for white papers (76%), eBooks (63%), and webinars (79%). (DemandGen Report) Tweet this! 33. Customers with strong connections to B2B brands have higher rates of consideration, purchase, and willingness to pay a premium. (CEB) Tweet this!